Charles Darwin University’s Doing VET Better program has been welcomed by stakeholders across government and industry sectors at an informal breakfast in Alice Springs. Held at Crowne Plaza on Friday, the function provided an opportunity for the University to introduce the new industry-focussed delivery model. Vice-Chancellor Professor Helen Garnett welcomed the 50 guests and spoke of CDU’s significant achievements in excelling training targets in vocational and higher education sectors. Director of Vocational Education and Training (VET), Aaron Devine spoke of the new program’s focus on industry needs. Alice Springs Team Leaders were introduced to the audience of local government and business, education and multinational representatives. The second industry breakfast will take place in Darwin on Friday, February 22. 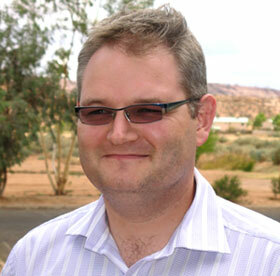 Mr Devine said he was encouraged by the attendance in Alice Springs. “We have started the year on a very positive note and look forward to strengthening our links with industry that ultimately lead to higher levels of education and students who will contribute to the Territory’s future,” he said.